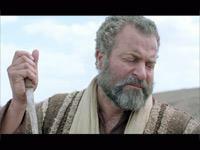 From THE BIBLE mini-series, this powerful and engaging cinematic clip is a powerful illustration of what obedience to God looks like and is the perfect lead-in to a sermon about God keeping His promises. 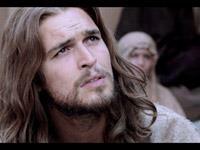 A video clip from THE BIBLE mini-series, one of the most watched mini-series in the history of cable television. 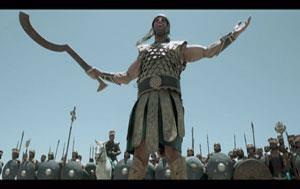 This video is visually stunning and a powerful telling of the classic story of David and Goliath. It is a sermon video illustration that will capture your congregations’ attention and leave them pondering what is possible from God’s people when they have absolute faith in Him. Television can do what someone called to preach often wishes they could do… enter a house and present the Gospel to someone who isn't attending church. Thanks to Mark Burnett, Roma Downey and The History Channel the Gospel, including Jesus' baptism, will be seen Sundays throughout March in homes across the country. Use this captivating video clip from THE BIBLE included in this preaching bundle to connect interest in the series with a decision for a new life.